London Calling! We’re here at 3D Printshow London, happening from today till Saturday at Old Billingsgate. Come by to see the Form 1+ 3D Printer in action at Stand P8. Over the next three days, we'll be presenting an exciting line-up of talks and workshops from Formlabs’ own Jennifer Milne, Will Walker, and Yoav Reches. 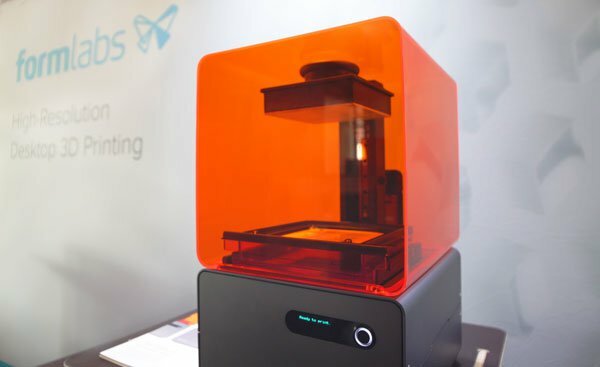 Formlabs is also nominated for the Best Prosumer Printer award – vote for us here. 3D printing is emerging as an agile, low-cost strategy to rapidly iterate and prototype new product concepts. Join us for a view of how our power users are creating amazing, hyper-localized products, building a following and successfully launching using a range of crowdfunding platforms. With the widespread adoption of 3D printing as a tool for realising ideas, makers of all kinds are challenging the traditional manufacturing methods of today. Make sure to swing by our booth for a chance to win a Form 1+ 3D printer! We’ll also be at TCT Show + Personalize, Maker Faire NYC, and 3D Printshow Paris. A winner will be announced at the end of October. Click here for full contest rules and conditions.